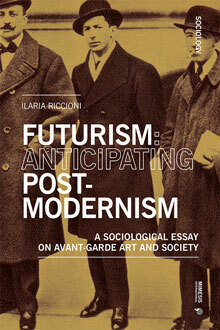 The first Manifesto of Futurism was published on Le Figaro on February 20th, 1909. It was to become the first avantgarde movement in art, with the multiple aim of: changing the function of art within society, foster Italian culture beyond its provincial domains, and last, but not least extend language as free expression of a new and forthcoming society of technology. Art in life, was the deep aim of Marinetti’s poetry, which was then to expand well beyond Italian borders and well beyond artistic expression, becoming an attitude for entering the new society. The more society was developing social constraints, the more artistic expression would become free of canons to let imagination fluently overwhelm reality. The main topics proclaimed as crucial by Futurists are the contemporary most influencial topics for social stability: politics, communication and technology as well as the major movers of social change. What can we still grasp from the radical claims of avant-garde art? Ilaria Riccioni teaches sociology at the Free University of Bolzano. She has been doing research and seminars in Italy, France, Austria, UK, USA and Australia on social theory, cultural studies and art as factor for social change. Between her recent publications: Élites e partecipazione politica. Saggio su Vilfredo Pareto (2016); Art, Capitalist Markets, and Society. Insights and Reflections on Contemporary Art, in Art and the Challenge of Markets Volume 2: From Commodification of Art to Artistic Critiques of Capitalism (2018).